"What the heck is this stuff that's in it? Is this stuff safe for me, and should I be using it?" Now there's on going debates about what's safe and what isn't safe. Depending on your source and who's stating what, it can be a hair pulling time finding out what you should and shouldn't have in your products. I'm not going to make a post with a 1000 different chemicals. The reason being is that it's simply to hard to remember all of these different chemicals. So what I'm doing here is only giving you 5 to remember, 5 is easier than 100 to remember. Anyways, take out a piece of paper and get ready to write these 5 down. Butylated Hydroxytoluene is found in a variety of cosmetics and personal care products. It is an antioxidant which helps slow the rate at which a product changes color over time. Hazards: Butylated hydroxytoluene may cause skin and eye irritation. This is a contaminant that may be associated with sodium laureth sulfate, PEG, and most ethoxylated ingredients with names ending in -eth. These ingredients are found in many products, most notably shampoos and body washes. 1,4 dioxane is known to cause cancer in animals and has a high probability of carcinogenicity in humans. Lead typically occurs as a contaminant, such as in hydrated silica, an ingredient in toothpaste. Lead acetate is added as an ingredient in some lipsticks and men’s hair dye. Hazards: Lead is a neurotoxin. It can cause brain damage and developmental delays even at extremely low concentrations. The FDA permits the use of mercury compounds in eye makeup at concentrations up to 65 parts per million. The preservative thimerosol, found in some mascaras, is a mercury-containing product. Hazards: Mercury is associated with a host of health concerns including allergic reactions, skin irritation, toxicity, neurological damage, bioacculumation, and environmental damage. Mercury readily passes into the body through the skin, so normal use of the product results in exposure. Toluene is found in nail polish and hair dye as a solvent, to improve adhesion, and to add gloss.Hazard: Toluene is toxic. It is associated with reproductive and developmental damage. Toluene may be carcinogenic. In addition to decreasing fertility, toluene may cause liver and kidney damage. Now these are only 5 of the many chemicals that are in many of our personal care products. 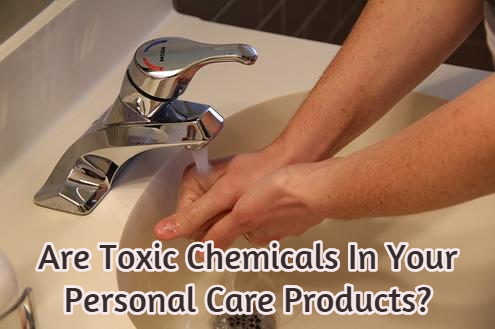 Like I said before, different source will give you different reasons behind the reason that these chemicals are in our personal care products. I just wanted to shed some light and create awareness on this issue. Be sure to be on the look out for part 2 and 3 of this post. 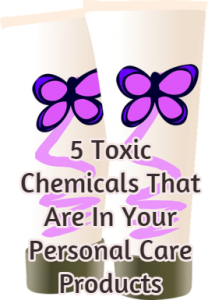 Check out this video on chemicals in our personal care products!